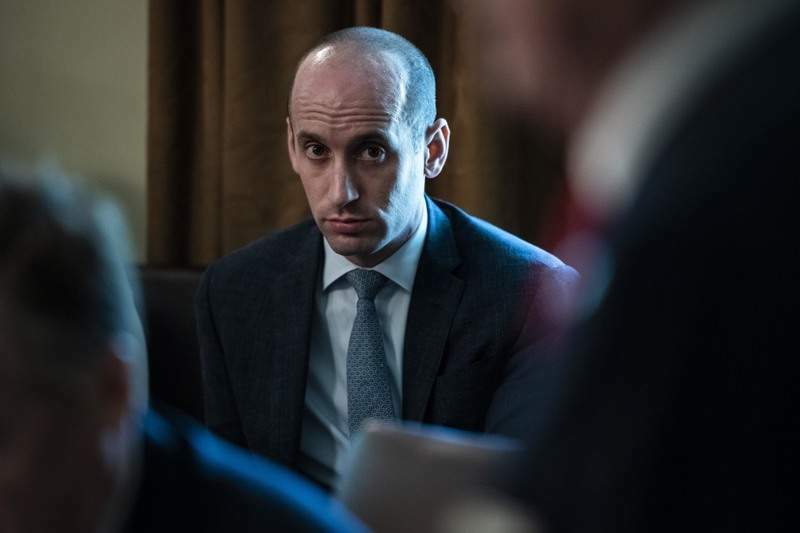 WASHINGTON – House Democrats are sharpening their focus on White House immigration adviser Stephen Miller, with key lawmakers saying he should be brought before congressional committees to testify about his role in recent policy controversies. The talk of bringing Miller before lawmakers comes days after the Washington Post reported that he played a key role in a plan first discussed last year to release undocumented immigrants into “sanctuary cities” represented by President Donald Trump's Democratic critics. Although the plan never came to fruition because of objections from agency officials, Trump has since embraced the idea. With a slate of new vacancies at the Department of Homeland Security, including the departure last week of the secretary, Kirstjen Nielsen, Miller has emerged as a key target for Democrats who see him as an influential survivor in an administration that has otherwise churned through personnel. House Judiciary Committee Chairman Jerrold Nadler, D-N.Y., on Sunday cited Miller's role in developing the targeted-release plan in calling on him to testify. “Steve Miller, who seems to be the boss of everybody on immigration, ought to come before Congress and explain some of these policies,” he said in a CNN interview. While Cabinet officials routinely testify before Congress on budget and oversight matters, it is unusual for lawmakers to publicly question presidential advisers like Miller – particularly in an adversarial scenario. Presidents of both parties have declined to make their executive aides available to congressional committees, citing the constitutional separation of powers. Miller, a former congressional aide whose title is senior policy adviser, has played a central role in the Trump administration's aggressive and controversial immigration policies since its earliest days – helping to orchestrate the 2017 executive order that barred travelers from seven countries and suspended refugee admissions. More recently, he has been a firm proponent inside the White House of adopting a zero-tolerance approach at the U.S.-Mexico border to deter asylum seekers streaming toward the United States from Central America. Homeland Security officials say he has pressured agencies to take firmer action to fight the recent surge of migrants massing at the border. Miller and White House communications officials did not respond Sunday to requests for comment on Miller. Press secretary Sarah Sanders said on “Fox News Sunday” that the administration was “looking at all options” regarding the targeted release plan. The proposal, she said, is not an “ideal solution” but one that could be implemented if Democrats refuse to negotiate with Trump on border security.